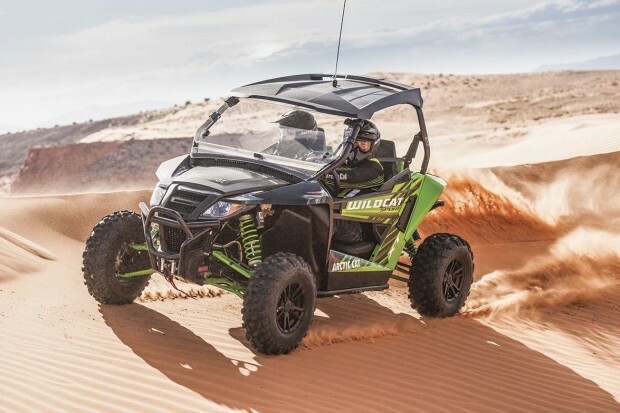 MINNEAPOLIS–(BUSINESS WIRE)– Arctic Cat Inc. (NASDAQ:ACAT) today unveiled its first wave of 2016 model year off-road vehicles during its annual summer sales meeting in Orlando, Florida. 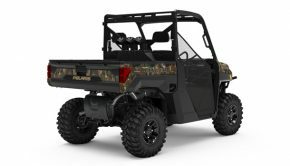 The 2016 lineup features seven all-new products, including four Special Edition models built in limited quantities, powered-up Wildcat™ Sport models and the introduction of the new Alterra all-terrain vehicle (ATV) brand. Arctic Cat is offering 32 North American models in its first wave of introductions. 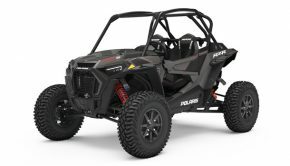 For more information on the full line of Arctic Cat 2016 ATV and side-by-side recreational off-highway vehicle (ROV) models, visit arcticcat.com. 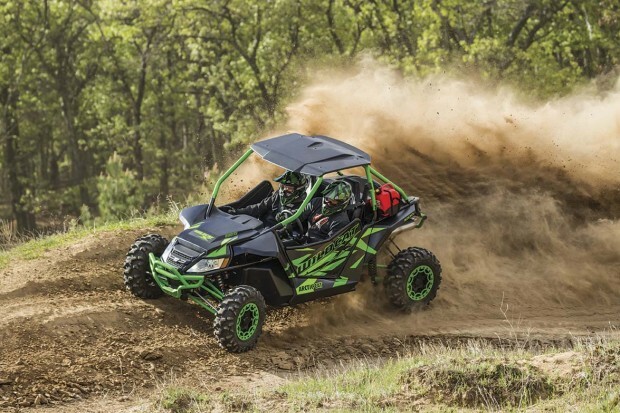 Wildcat – Arctic Cat unveiled a more powerful Wildcat Sport and two new 2016 special edition Wildcat models in the side-by-side ROV segment. 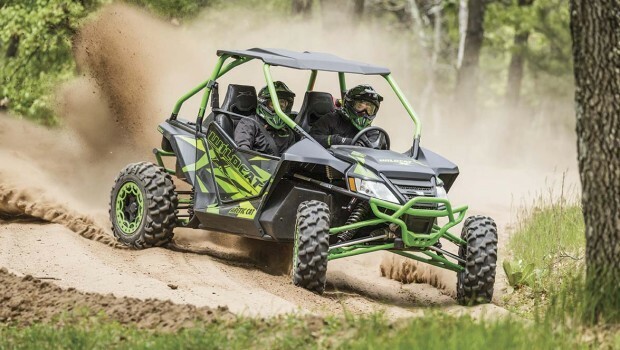 Arctic Cat’s full line of Wildcats – from the trail legal Wildcat Trail, mid-size Wildcat Sport, extended chassis Wildcat X and 4X four-seat models – continues to provide a wide range of vehicle sizes, trim levels, shock packages and performance to meet every riding style. The new 60 inch 2016 Wildcat Sport models gain a 5 percent increase in engine power, derived from an all-new and innovative free-flowing exhaust system. The new 2016 Wildcat Sport models gain a 5 percent increase in engine power, derived from an all-new and innovative free-flowing exhaust system. 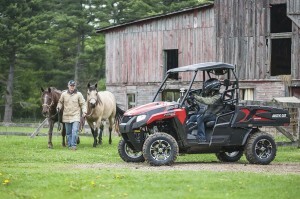 All Wildcat Sport models have a mid-sized 60-inch wide chassis, and feature a low center of gravity and high power-to-weight ratio, ensuring quick acceleration and climbing ability that gives drivers confidence. A new Wildcat X Special Edition features aluminum bumpers, color-matched beadlock wheels and roof, and desert tan colored bodywork. 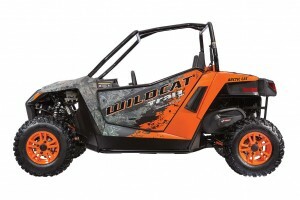 The Wildcat Trail Special Edition features full-sized doors, color-matched aluminum wheels, and an industry-first color combination of true timber camo and orange metallic paint. A new Wildcat X Special Edition features aluminum bumpers, color-matched beadlock wheels and roof, and desert tan colored bodywork. Also new is the Wildcat Trail Special Edition featuring full-sized doors, color-matched aluminum wheels, and an industry-first color combination of true timber camo and orange metallic paint. 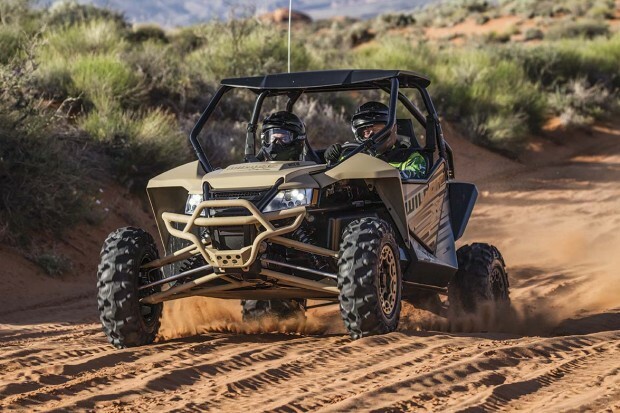 The Wildcat X and 4X models stay true to their rugged roots, delivering professional performance, but receive all-new Duro PowerGrip tires and an attractive, aggressive price point versus the competition. 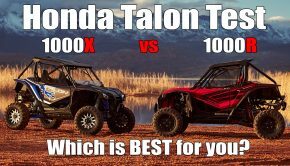 The Wildcat X and 4X models receive all-new Duro PowerGrip tires and an attractive, aggressive price point versus the competition. Prowler HDX Utility – Arctic Cat’s new 2016 Prowler HDX side-by-side utility models include the Prowler HDX 700 SE Hunter Special Edition featuring an electric bed lift, painted aluminum wheels, a 5,000-lb. winch, gun scabbard and true timber camo livery. An all-new 2016 HDX 500 XT is ready to take on tough tasks, complementing the 2016 HDX 700 XT in Arctic Cat’s utility lineup. The company extended its Prowler HDX XT line, which is the ultimate working machine. An all-new 2016 HDX 500 XT is ready to take on tough tasks, complementing the 2016 HDX 700 XT in Arctic Cat’s utility lineup. The 500 has an industry-leading payload with a tilting 2-in-1 cargo box that converts to a flatbed for 1,000 lbs. of carrying capacity. Side and under hood compartments store work essentials, while a three-person bench seat provide flexibility when the cargo includes a couple extra helping hands. 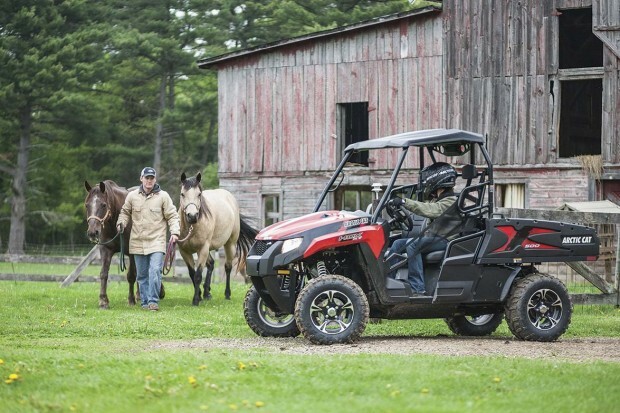 The HDX 500 also comes with tilt steering, new body styling and an automotive-style hood.